This edition of the Undergraduate/Graduate College Catalog covers undergraduate and graduate programs for the 2017-18 academic year. Information in it is accurate as of June 2017. To maintain the integrity of the SUNY Plattsburgh College Catalog as an official document, links to program updates will be documented separately, between catalog publications. 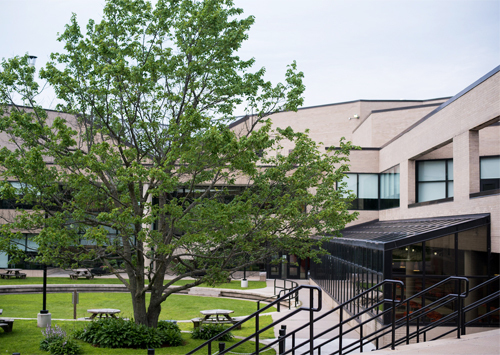 SUNY Plattsburgh reserves the right to make changes in policy and regulations, and its faculty reserves the right to change course content, course availability, and program requirements, as circumstances dictate. The final authority on such matters is the provost/vice president for academic affairs, whose designee shall serve as resource person should questions arise about changes. The associate vice president for academic affairs, the provost’s designee, is located on the eighth floor of the Kehoe Administration Building, 518-564-2195.